﻿Professional design software like Photoshop is terrific, but it’s also expensive. What do you do if you're a designer on a tight budget? Photoshop is truly the best program for what it does, but that doesn't mean there aren't some very good alternatives that cost exactly nothing. There are quite of few free or open source alternatives, so it would be helpful to know a bit about them and compare them to what your specific needs are. In many cases, there are online tutorials for these free programs that can help you master them quickly. These free tools will ease the financial concerns of designers still operating on a college budget. The most well-known alternative to Photoshop is the GNU Image Manipulation Program (GIMP). It is also the most feature-rich free program, allowing you flexibility that is closer to the more expensive options. Photoshop, of course, sets the standard for cutting-edge photo-editing features, but fortunately almost everything that can be done in Photoshop can be done in the GIMP. The GIMP is also a cross-platform program supported by a huge online community. It can also be easily installed with Windows installers. 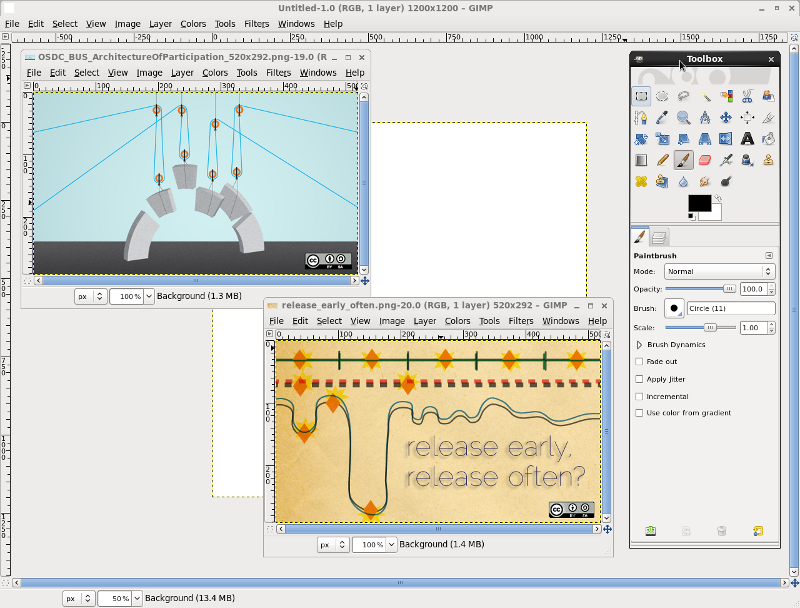 GIMPshop is GIMP for those who want to feel like they're still using Adobe Photoshop. It has all the functionality of the GIMP, including a lengthy list of features and customizability, but it also answers some of the complaints regarding GIMP's interface. The GIMPshop menu structure more closely resembles that of Photoshop. It also has adjusted terminology so that it falls in line with the way Photoshop refers to tools and processes. It doesn't, however, support Photoshop plugins, nor does it support GIMP's plugins, filters, brushes, etc. But, when it comes to finding a really close alternative to Photoshop, GIMPshop is the program to get. Krita is great for those who want to sketch or paint. It is based on technology originally used for Linux. If you are creating cartoons, textures, concept art, or paintings, Krita supports almost all graphics tablets from the moment of installation. It also comes with a fair number of useful features, though not quite to the level of GIMP. 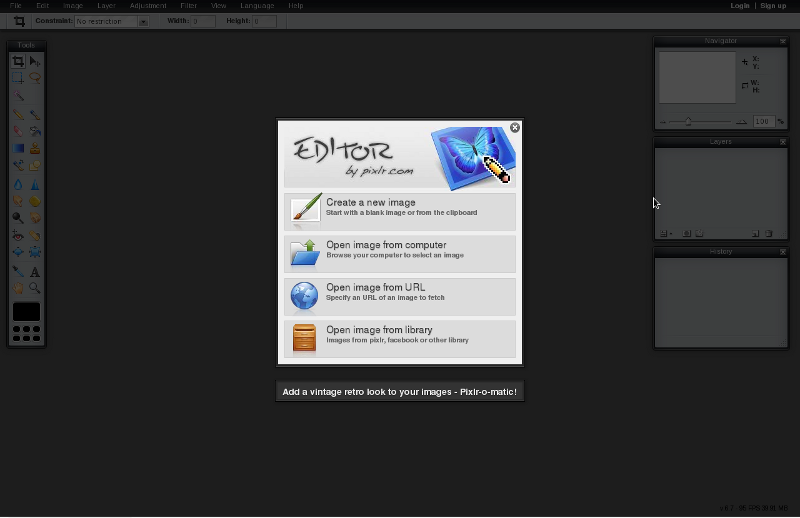 Pixlr Editor is a web-based photo editor. Its layout looks somewhat like Photoshop CS. Its interface is good and it comes with quite a few features--for a free web application. It includes layers, magic wand, texting, filters, styling, editing, and a large number of effects. It also does not require you to sign up. You can simply go to the site and begin editing your file. Aviary has a suite ideal for editing vectors and images. Phoenix is the photo editor designed for Aviary, including compositing and layers. 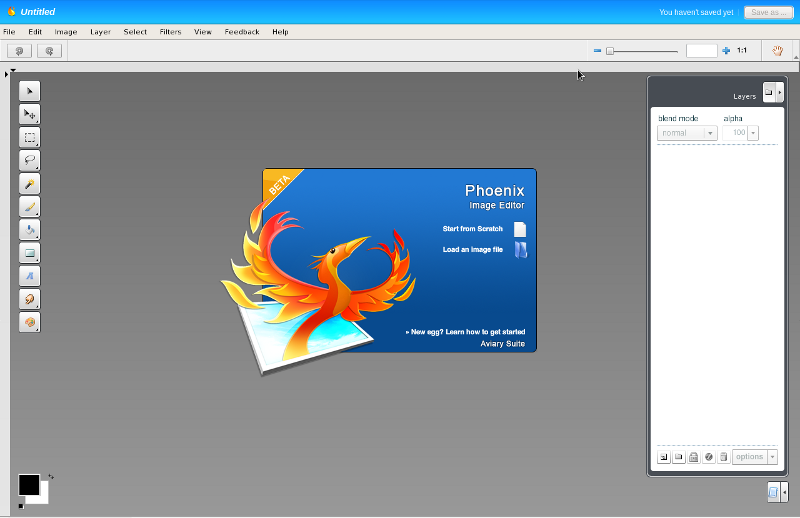 Phoenix is integrated into Facebook, Picasa, and Flickr, meaning you can import images from these services. Once again, Phoenix is a powerful free tool to consider before investing in an expensive package like Photoshop. emilygreen - Emily Green is a very competent writer with more than 6 years professional experience in blogging, copywriting, content, SEO, dissertation, technical, and theses writing. She has written more than a thousand webpage content articles in past projects. When she's not writing, she likes to read, bike and take her dog to the park. 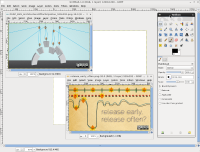 Inkscape - graphical app to create SVG drawings. MyPaint - emulates traditional artist tools (oil, watercolour, charcoal). Are you interseted in contributing a post about any of these tools? Do you have specific knowledge/tips and tricks to share with our readers? Sorry, I only use them occasionally. I was about to give krita a try by installing it on Ubuntu 12.04. But as dependencies I wants to install akonadi, mysql-server, etc etc, . To me these are unnecessary bloat just to use a drawing application. Is this a krtia or Ubuntu package issue?